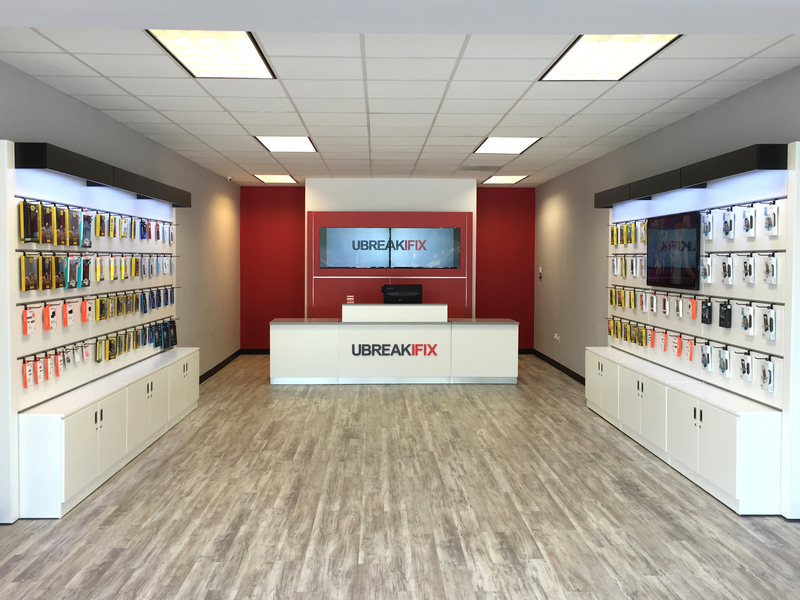 LAKE FOREST, CA--(Marketwired - August 29, 2017) - uBreakiFix opened in Lake Forest on July 13 at 23600 El Toro Road, Suite D, in the Orchards Shopping Center. The fast-growing technology repair brand provides same-day repair service of all electronics, specializing in smartphone, tablet, Macbook and computer repair at its more than 325 locations across North America. This is the brand's sixth location in Orange County, joining locations in Santa Ana, Costa Mesa, Orange, Westminster and Seal Beach. uBreakiFix Lake Forest is the second location for owners John Valenti, William O'Brien and Robert O'Brien, who also own uBreakiFix Costa Mesa and plan to open eight more locations in Orange County. The team is passionate about creating opportunities locally and leaving a lasting legacy of community impact in the area. "We have already seen the tremendous impact uBreakiFix has had in Costa Mesa, and we're excited to share our unmatched customer experience and community involvement with the Lake Forest area," said Valenti, an Orange County native. "Lake Forest has a lot of great features, but the best by far is its people. To be able to serve and contribute to the community here is a privilege, and we're grateful for the opportunity to meet the needs of local customers and businesses." The team plans to be involved with local school districts through fundraising, class demonstrations and possible internships for graduating seniors. "Our commitment to our customers is what drives our continual growth, innovation and improvement," said Wetherill, uBreakiFix CEO and founder. "We're always looking for ways to better serve the communities we call home. We're excited for the opportunity to bring reliable repair service and exceptional customer service to Lake Forest and the surrounding areas." uBreakiFix Lake Forest is located at 23600 El Toro Road, Suite D, Lake Forest, CA 92630 and can be reached at: 949-203-1700. For more information and to view a service menu, visit ubreakifix.com.